The Association of Postal Officials of Canada is the bargaining unit certified by the Canada Industrial Relations Board to represent those employees who supervise the processing and delivery of the mail, the Commercial Sales Force, and employees who oversee the processes involved in moving Canada’s mail. There are approximately 3400 members in 28 branches across the country, with the largest being Toronto (YORK) and the smallest being Prince Edward Island . Our organization is governed by the National Executive, which consists of 4 full time officers, the National President, the 1st National Vice President, the 2nd National Vice President and the National Secretary Treasurer, along with 9 Divisional Vice Presidents, who also work in positions within Canada Post Corporation. These positions are elected every three years at our National Convention. This site provides information and points of contact for members and all those with an interest in the work of APOC, Halifax and District Branch. 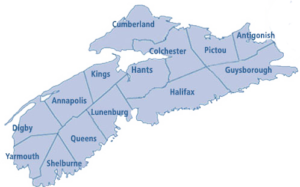 We currently have 93 members in our Branch which serves all of mainland Nova Scotia. If there’s anything you would particularly like to see included on our site, or if there is a question you would like to see answered in the Q & A section, please use the ‘Contact Us’ link above and we will respond as quickly as we can. We hope you find our site informative.